The Pros And Cons Of Financing A Used Car – How To Choose The Payment Method That’s Best For You! Buying a used car can be a bit overwhelming – especially if this is your first time on the market. Shopping for a used car is a very involved process, and requires a good amount of decision-making if you’re looking to secure a great deal on a fantastic used car. A unique aspect of shopping for a used car is financing. Because the cost of a used car is significantly lower than a new car, it’s often possible to purchase a car outright with cash – avoiding long financing terms, and potentially saving you some money. This is quite rare when purchasing a new car, due to the high cost of a brand-new automobile. And while most used car shoppers do end up financing their cars, you may be tempted to drop some cash outright – and pick up a great used car without worrying about repayment. But how can you decide if financing a used car is right for you – or if you’d be better off paying in cash? Well, we’re here to make things easier for you. Our list of the pros and cons of financing a used vehicle will certainly help you as you make your decision. Financing a used car is the most common method of purchase – for good reason. There are quite a few benefits of taking out a loan to buy a used car. Let’s take a look at them now. Low Down Payment And Up-Front Cost – Most used cars can be purchased with a very low down payment – often only 10%-20% of the value of the car. You can even get a 0% down payment in some cases – though this will lead to an overall higher lifetime cost of financing your vehicle. Reasonable APRs – No matter what your credit rating is, it’s easy to secure a reasonable APR on a used car. Even people with bad credit can generally get reasonable terms when financing a car loan, because banks can simply repossess the car in case of non-payment – vastly reducing their risk. Helps Build Your Credit Rating – An auto loan is a great way to build your credit rating – especially if you’re trying to recover from a negative hit to your credit rating due to bankruptcy or outstanding bills. Allows You To Keep Your Savings – Blowing your savings on a large cash purchase is often a bad idea – even if it is a car. Life happens – and if you spend all your savings on purchasing a car outright, you may be out of luck if you happen to need a quick injection of cash in the future. By financing your car, you can keep your savings intact – and have money to pay for unexpected situations or emergencies. You Can Afford To Buy A Better Car – This point shouldn’t be overlooked. If you pay in cash, you’re restricted to a much smaller budget – and you can’t exceed it. However, if you finance a car, you can often afford to buy a better car, because you don’t have to pay for the whole thing at once. This doesn’t mean that you should buy a Porsche when you can only afford a Corolla – but it does that, if you finance your purchase, you could get a higher quality car that’s a few model years newer, or has some more modern, nice-to-have features. Of course, there are some drawbacks to financing – as compared to paying cash. Let’s take a look at a few of those drawbacks, so that you can get the full picture of the benefits – and disadvantages – of financing a used car. Higher Overall Cost – When you finance a car, you’ll pay more for it than you would if you purchased it outright – that’s just a fact. The interest you pay on your loan adds up – so financing a car will almost always lead to a higher overall cost, as compared to a cash-only purchase. Less Negotiation Leverage – When you finance a car, you don’t have too much negotiation leverage. You may be able to cut a deal here and there, but you’re likely bound to whatever the dealer offers you. Cash payments, on the other hand, are very attractive to dealerships. Dealers know they’ll get immediate profit with minimum paperwork – and may be willing to negotiate a better price in order to get rid of a car quickly. 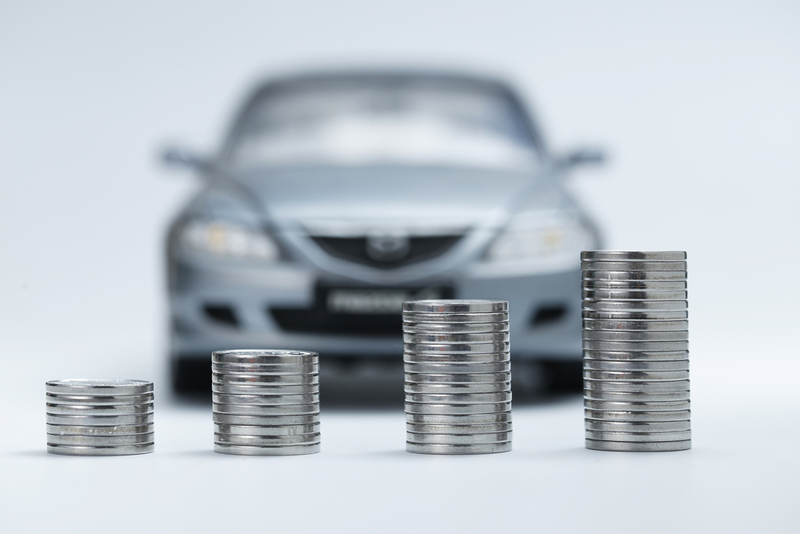 You Don’t Own Your Car Until You Pay It Off – When you finance a car, you don’t own your car until you pay it off – until then, the issuing lender holds the title, and can repossess your car if you don’t make payments. If you make all of your payments on time, this isn’t a problem – but it can be attractive to just pay cash for a car, and own the title yourself immediately, so that’s certainly a factor to consider. Well, the answer is “it depends”. The choice of whether or not to finance a used car depends on your credit, your savings, your financial situation, your income – and a variety of other factors. Without knowing the specifics, it’s hard to give a recommendation. However, there’s a reason that financing the purchase of a car is so common – it’s easy to get a solid rate on a loan, it leads to a lower upfront cost, and provides you with a way to get a great car without blowing through your savings. High quality used car dealerships like Ride Time offer competitive lending rates for people with bad credit and good credit alike. Even if you have bad credit, Ride Time can guarantee you a reasonable financing deal on a used car if you have a valid Canadian driver’s licence, a take-home income of $1,500/month before deductions, and have been employed for more than 3 months. So think about the pros and cons of financing a used car before you make your next car purchase. Whether you decide to finance your car or pay up front with cash, we’re sure you’ll make the right decision – and that this guide will help you!